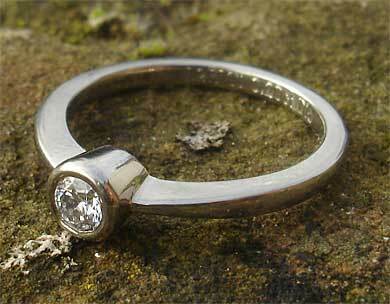 Unusual Bezel Diamond Titanium Engagement Ring : LOVE2HAVE UK! 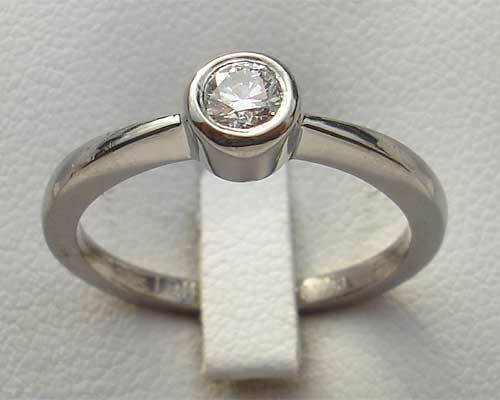 An awesome ladies diamond engagement ring made from titanium and set with a 0.20pt round brilliant cut white diamond. The setting style is a rub over bezel setting which brings out the feminine complimenting the shape of the hand. The bezel measures approximately 5mm in width while the band is approximately 2mm wide. The underside of the bevel features a tiny hole that allows light to pass through the diamond making it sparkle. 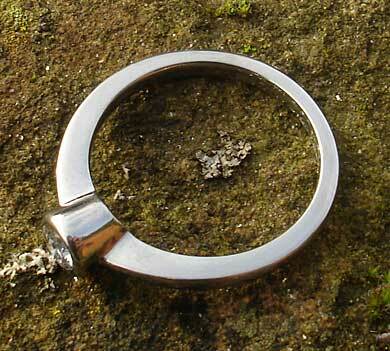 The finish of the ring is polished, but satin is also available on request. This ring makes an unusual idea for an engagement ring. A real symbol to everyone that signifies that you are getting married. 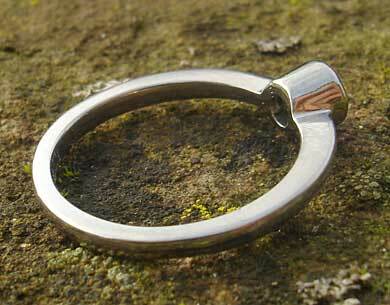 The ring has a tapered contemporary style to the wall thickness. The tapering starts at approximately 3mm nearest the bevel and reduces to about 1.5mm on the bottom edge wall thickness. It comes in a polished finish as standard. Precious stone(s) Available: 1 x 0.20pt black diamond.